A belated catch-up with some unbelievable garden records! Again i'm playing catch up with catches from the 21st/22nd and 24th of June combined as i'm just too knackered to do the full list so here are the new species for my garden before I went jetting off to the South of France. Here are all of the new ones making the year list total increase dramatically during a warm spell with muggy mild nights. 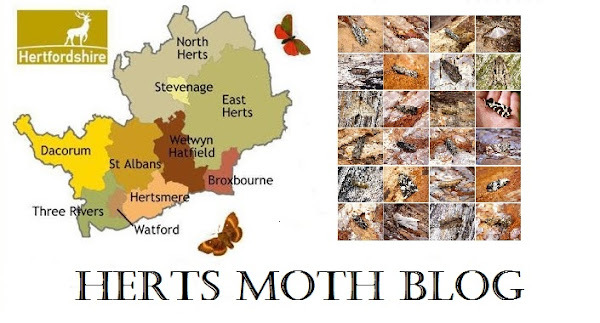 Highlights were garden firsts of Reddish Light Arches, Coronet, Blackneck, Argyresthia retinella, Endothenia nigricostana, Apotomis capreana and Hypsopygia glaucinalis. 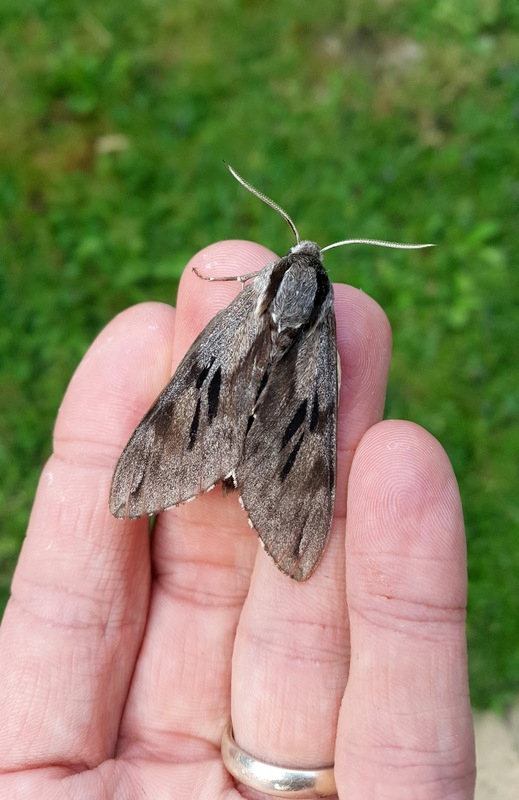 And it was also pleasing to complete the resident Hawk-moth list for the garden with Pine Hawk-moth. Garden Mothing has never been so good!! And things haven't let up at all with my first catch from last night (after getting back from France) a huge 150+ moths of 70+ species. The warm weather continues for the rest of the week with highs of 30 possible by the end of the week and tonight is looking fantastic so I will be lighting up again.